We spoke with Stephanie Caddell, a registered nurse with years of experience working with patients in a remote care setting. Stephanie shared her thoughts on how patient-generated health data opens up communication lines to ultimately improve patient outcomes. Read the interview below. How does the collection of PGHD impact the way you interact with and engage patients (as compared to a traditional model of care)? When patients gather their own data remotely, it allows for more time to be focused on teaching the patient about their health and their information. This leads to a better understanding of how their lifestyle and choices affect their data, and what they can do to change it. Using this data also creates a communication line, or feedback loop, that gives patients quick turnaround for them to see improvement, which further encourages behavior change if needed. How important is creating a feedback loop between patients and providers? How does it impact the ability to educate patients in near real-time? Providing a feedback loop between patients and providers creates trust, and also allows a patient feel like an active player in their care management. This reduces the risk of a patient being nervous to ask a question, which could potentially save their life. Imagine the patients today who don’t want to “bother” their physician… only to have the lack of asking a question lead to that patient’s detriment. With this feedback loop and trust comes the ability for the patient to believe and understand what their provider is educating them on, which can lead to life-saving, proactive interventions the patients are capable of doing themselves. If, for example, a patient is dealing with high blood pressure, and the provider and patient have come up with an action plan for the patient to self-administer a particular blood pressure lowering pill, this alone can prevent an ER visit – saving thousands of dollars for the patient (and potentially saving their life). Does the remote care model open new lines of communication between the patient and clinician? In what way? Remote care communication between the patient and clinician is a wonderful, positive two-way street. There are so many benefits! For one, the patient may be able choose how they best communicate. Often times, patients prefer to communicate via email or text versus in-person or via telephone. This allows patients who may otherwise be disinterested in their self-care to be more apt to take the time to invest in conversation. If the method of communication is easier and more convenient for the patient, they will be more likely to actively participate in their health. Secondly, patients become more trusting of their clinician because of the amount of personal communication that occurs in a remote monitoring program. They start to look at their clinician as their own personal health coach and friend, instead of “just another physician/nurse/therapist” telling them what to do. Thirdly, as clinicians we can often fall into the trap of getting rote in our role as caregiver and educator. 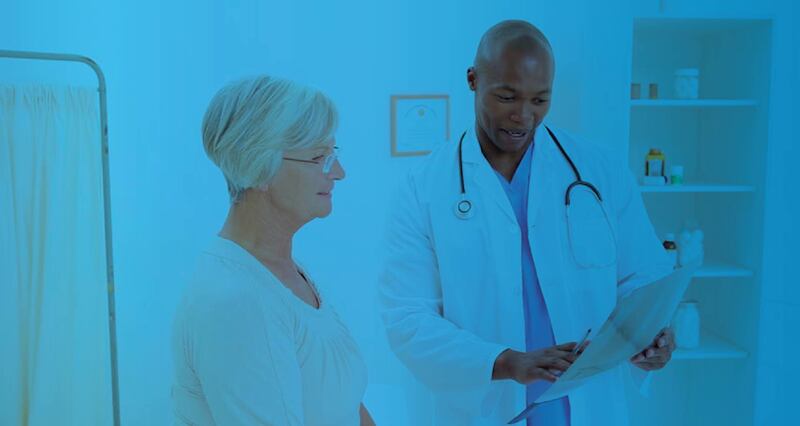 Having open lines of communication for remote monitoring allows for more frequent, more open communication– building a relationship between the clinician and patient or caregiver and allowing more investment for both parties. When we have access to this valuable data, we’re better able to understand our patients’ daily lives. This helps us to build relationships with our patients and make communicating more open and honest. And, my discussions of the patient’s self-generated data with them helps to most effectively express how their actions affect their outcomes and goals. Read more from our conversation with Stephanie Caddell, RN, in the second post, where she shares her outlook on how leveraging PGHD in remote care programs can improve care efficiency.